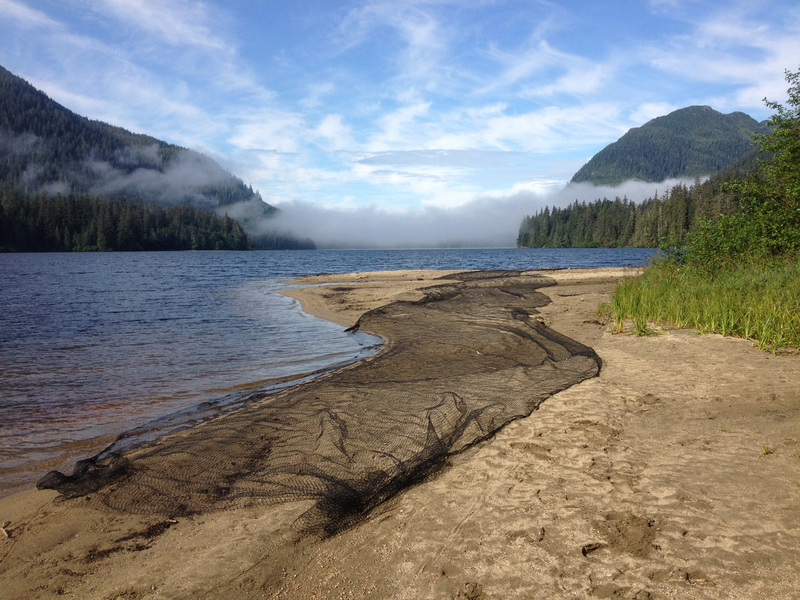 Before construction of the Sitkoh Lake net weirs, the netting material was stretched out on a beach at Sitkoh Lake so that it could be measured and cut in Tongass National Forest, Alaska. (Forest Service photo by Carol Mahara). Photo by Forest Service, USDA.